In Superman Rebirth #1, the pre-Flashpoint Superman and Lana Lang head to the New 52 Superman's tomb to enter and move the body. Lana is there to move the body, to bury it on the Kent farm. The pre-Flashpoint Superman is there to take the body to the regeneration matrix to revive the body. After all, the pre-Flashpoint Superman had died and been restored in that way. The whole scene reminded me of Funeral For A Friend, the arc that happened in the immediate aftermath of the Death of Superman. In that story, the world was reeling from the death of Superman, grieving. But there were other forces at work, many of them nefarious. People wanted the body for their own purposes. I am sure, Superman Rebirth #1intentionally was crafted to call back to this. Wanting to look back at Funeral For A Friend, wanting to revisit a scene at the tomb, and wanting to showcase Supergirl (this is a Supergirl blog), I thought I would review Adventures of Superman #499. Before we get to the story, a couple of comments. One, I really love Funeral For A Friend. 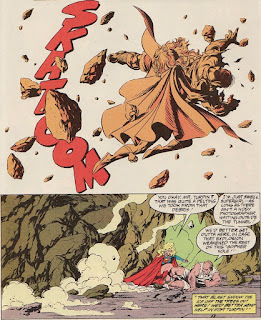 Death of Superman had many wonky story beats (Doomsday heads to Metropolis because he overhears a wrestling commercial?). Reign of Superman (which I also love) has huge action sequences, the mysteries of the four replacements, and the return of Superman. Funeral takes a pause to let us see how the loss of Superman hits everyone. It really is a character driven arc, even if it has its own action sequences. And I'll remind people that I think that Funeral For A Friend is the turning point for the Matrix Supergirl. The arc starts with her as the subservient lover and ends with her questioning Lex and moving towards being an independent hero. We see her take the next step in Reign of Supermen. But this chapter is when she is still naive to be listening to Lex completely. 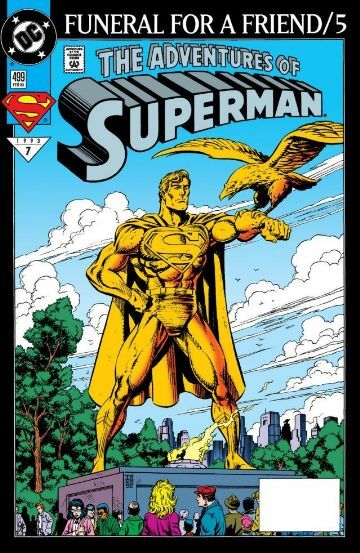 Written by Jerry Ordway, with art by the stellar Tom Grummett and Doug Hazelwood, here is Adventures of Superman #499. The issue starts with an alarm ringing in Lex Luthor's penthouse. It is a signal that someone is trying to break into Superman's tomb. The alarm awakens Supergirl, who is sharing Lex's bed. Coming out in her sheer pink nightie, she tells Lex she'll go and investigate. The tomb was funded by Lex so that he could have access to the body for his own purposes. No one gets to take his prize. But Matrix at this time is just submissive to Lex. She changes her form in to different women to keep him interested. She follows his every command. And this was right after her time as Brainiac's dupe. It was a low point. Still, she has complete respect for Superman. She won't let anyone dishonor Superman in any way. And she actually holds out hope that Superman might still be alive. She heads out into the snowy night to investigate. 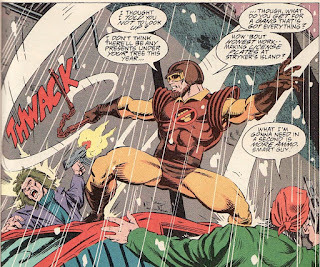 I have always been a big fan of Grummett and Hazelwood's art. There is something wonderful about it. It is both cartoony and realistic somehow. And they draw a great Supergirl. 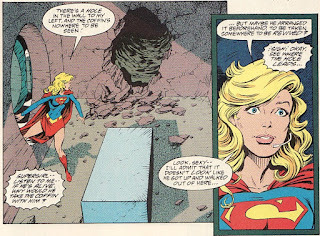 Supergirl breaks through the large safe door to get inside the tomb (similar to the one Lana tries to break through in Superman Rebirth). She is shocked to see the coffin gone and a rough tunnel bored into the chamber. Again, this is a naive and almost too optimistic Supergirl. Rather than recognize that someone has drilled in and stolen the body, she assumes it was some elaborate plan by Superman himself to retrieve his body after his death. Grummett does a nice job in that second panel. Kara is completely wide-eyed, a sort of doe-like innocent. Meanwhile, Lois and the Kents are struggling with their emotions. They are mourning both the apparent loss of Clark Kent as well as the death of Superman. What I do love is that both are more worried about the other. Pa wants to know how he can support Lois. And Lois wants to know how she can help the Kents. Meanwhile, Supergirl heads through the tunnel to discover deep underground caverns. She has entered the Underworld, a land of mutants and creatures established in the Superman books. The tunnel seems too precise and polished to be natural or dug by an animal. Checking in constantly with Lex, Mae says she'll head deeper. 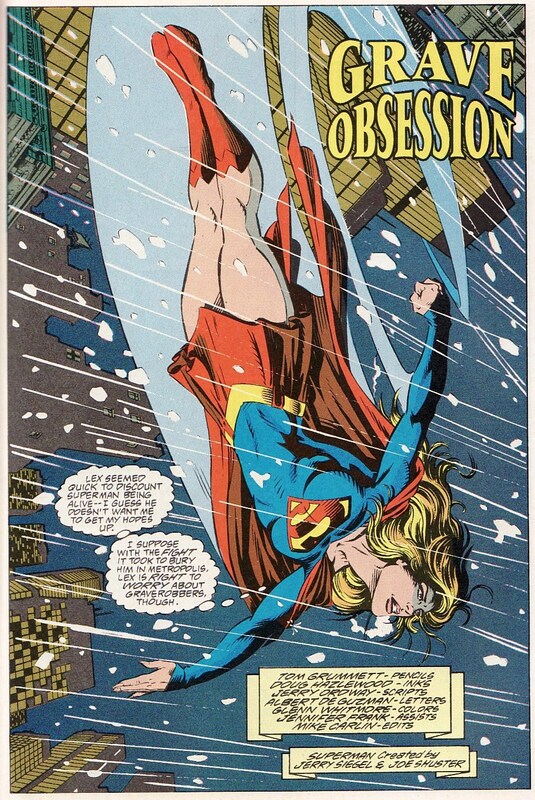 Just a beautiful panel of Supergirl. 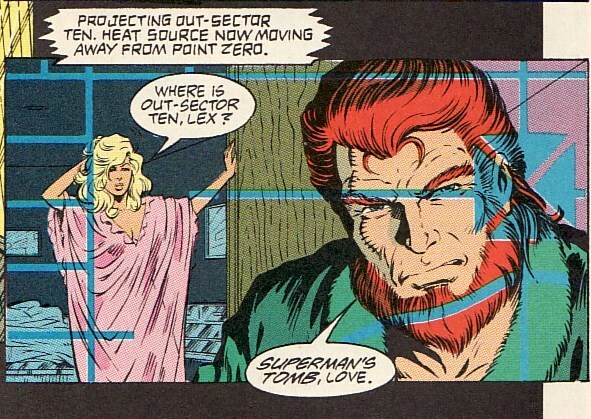 The disruption at the tomb has been noticed by the Metropolis SCU as well as Lex. Seeing the enormous grate removed from its moorings (Supergirl's point of entry), they decide they need to investigate as well. Dan Turpin heads in on his own. It shows just how tough Turpin is that he heads in alone. I loved the supporting cast of the super-books at this time. As for the rest of Metropolis, not everyone is mourning Superman. The criminal element is happy. Jose Delgado decides that he needs to honor Superman's legacy by taking up the mantle of Gangbuster once more. Superman is an inspirational figure, perhaps even more since he is gone. 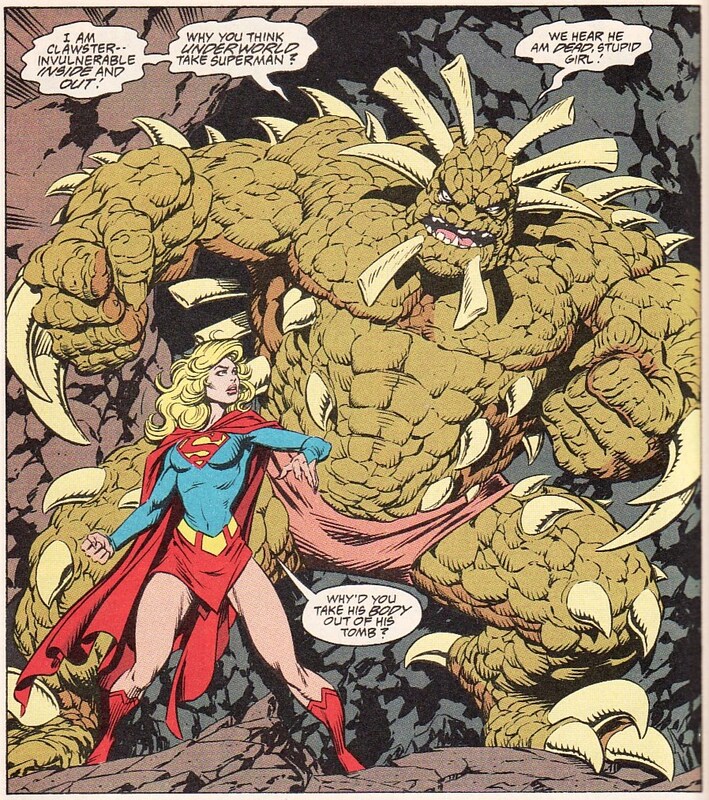 Meanwhile, Supergirl's descent into the Underworld doesn't lead to Superman's body. Instead, it leads her to encounter the denizens of that land. And they aren't exactly trusting of the overdwellers of the city above. They don't know why Supergirl is there and they don't care. Clawster, looking enough like Doomsday to maybe add some perceived suspense, decides that he will forcefully remove her. 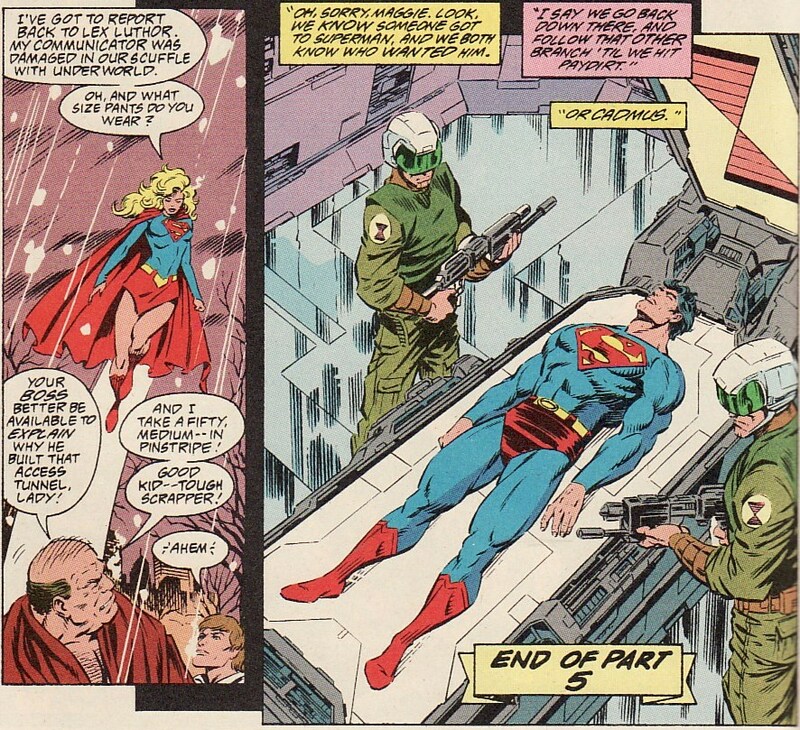 Unfortunately, Supergirl still thinks that maybe they are responsible theft of Superman's body. A melee ensues. Dan Turpin has also arrived and is trading fists with some of the smaller Underworld dwellers. He isn't going to back down. In the end, Turpin pulls the pins on two grenades, collapsing that section of the cavern and forcing him and Supergirl to retreat. 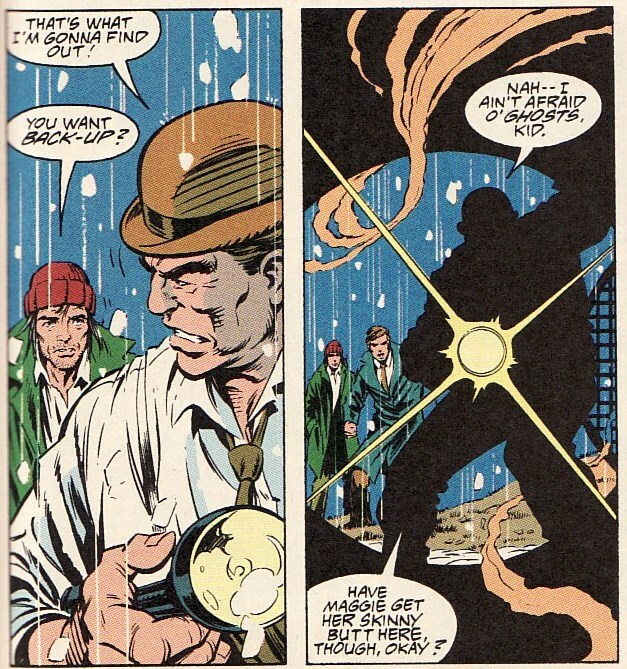 This whole sequence is just beautifully rendered, a hard action sequence in the middle of the investigation. And Superman's body, well at least for now it seems to be in Cadmus. Look at how great Supergirl looks in that first panel. Wonderful. While I came to love the Matrix character, it is hard to read her at this point. Luckily, her independence is right around the corner. And the mystery of the body? Well that is for another day. But I would highly recommend Funeral For A Friend if you haven't read it before. Hey Anj, thanks for sharing this issue. Been awhile since I read Death / Funeral / Reign, I should read it again. little maneuver we call Sequence Number 7" between one of the denzins of Underworld and Turpin. it. 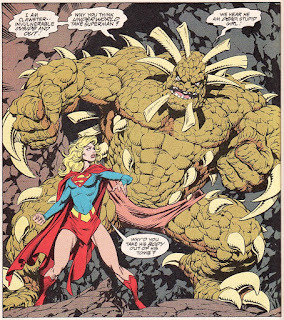 Hoping Supergirl S2 maintains this, and shows more of the inner workings of Cadmus. Matrix Supergirl was written so painfully stupid and naive as to make the silver age Wonder Woman (an awful feminine caricature courtesy writer Robert Kanigher) look like The Goddess of Wisdom herself. This was my whole problem with this era in a nutshell, cheap heat storylines that maybe merited a three issue serial (Supergirl is Dating Luthor!!!) got teased out over eighteen months or more, it was a company wide issue back then.